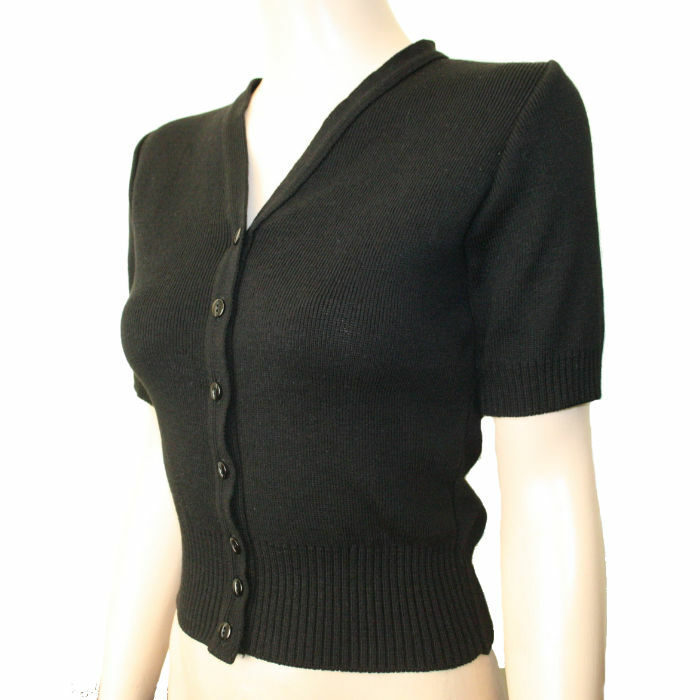 Our short sleeve cardigans are a fitted 'sweater girl' style. They are knitted here in the U.K. and as we like to make them as authentic as possible, the design is taken from a vintage pattern. They have a V neck, short sleeves and a 3 1/2 inch rib at the hem. The shoulder seams have tape sewn in for strength and to keep the shape. 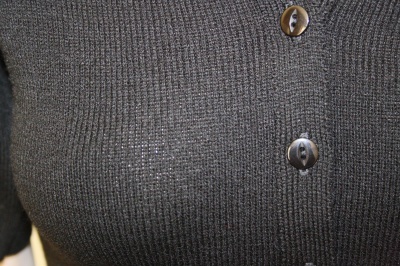 The 'fish eye' buttons down the front are the exact colour of the yarn, and the cardigan can be worn open over a dress or blouse etc or fastened to wear as a normal sweater. They’re knitted in a good quality yarn which is 100% Acrylic and can be machine washed. We suggest washing as wool, dry flat and do not iron, to ensure they continue to look good, wear well and will not lose their shape or shrink. We have had these knitted in small, medium and large, which is equivalent to a UK size 8 to 10, 12 to 14, and 14 to 16, depending on how tight you like to wear them. Please take note of the size guide provided for exact measurements.